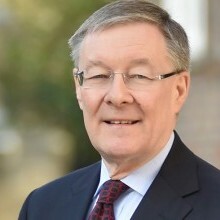 The Supreme Court handed down judgment in HMRC v Joint Administrators of Lehman Brothers International (Europe) (in administration)  UKSC 12 on 13 March 2019. Malcolm Gammie QC appeared for Her Majesty’s Revenue & Customs with Catherine Addy QC. The issue before the Supreme Court was whether the estimated £5billion of statutory interest that was payable under r 14.23(7) of the Insolvency Rules was “yearly interest” under s 874 of the Income Tax Act 2007, such that the administrators of Lehman Brothers International (Europe) were required to deduct and pay to HMRC income tax before paying the interest to creditors. The Supreme Court held that the statutory interest was “yearly interest” and, therefore, the administrators were required to deduct income tax at the source of the payment. A copy of the judgment is available on the Supreme Court’s website here.